Internal PIN-pad for taking PIN debit sales. Chip+PIN and Chip+Signature is available with the Vx520. Accept contactless (NFC) payments like Apple Pay. 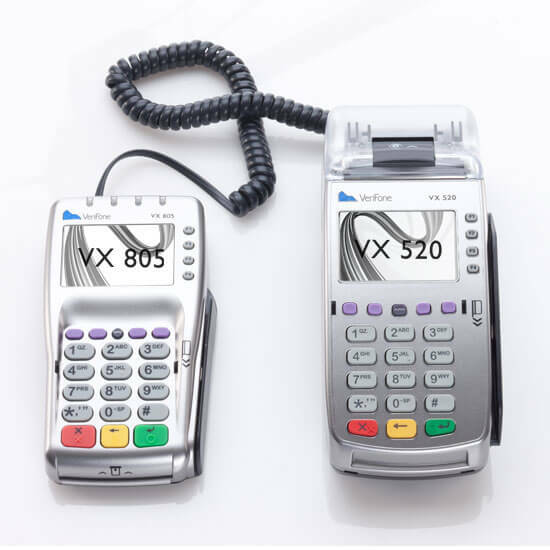 Vx520 terminals can be setup as “Multi-merchant” terminals so that multiple businesses can share the same terminal. Black/White back-lit screens and keys make for quick and easy inputting of sales. Easy-to-use menus and user-friendly controls make this terminal a fast favorite. This terminal uses 74′ paper rolls, with a “drop in” loading technology. Verifone stands behind their products with a 1 year warranty. Fully EMV capable – take EMV cards through the terminal or the PinPad. NFC and Apple Pay capable. Let people pay with their iPhone or any other smartphone with NFC technology, directly through the customer-facing PinPad. Accept tips directly through the customer-facing PinPad. 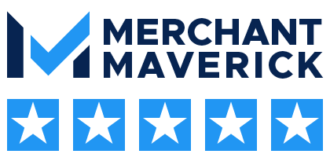 The customer will be able to discreetly enter their tip without your input, so that you don’t have to manually adjust your sales for tips every evening. 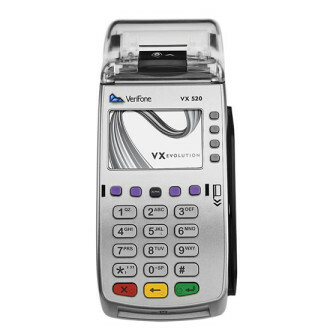 The Vx805 has a customer-facing PinPad for taking PIN debit sales. 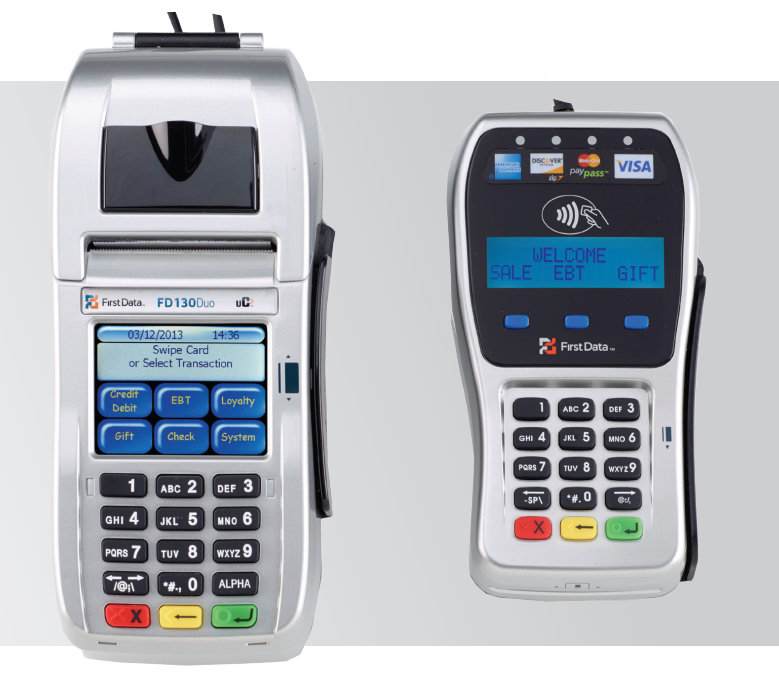 The FD-35 has a customer-facing PinPad for taking PIN debit sales. Are terminals required? Why would I need one? How do I adjust EMV (chip) transactions for tips? 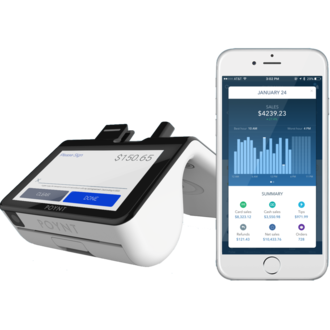 What makes a POS different than a credit card terminal? What is a terminal application? Does Dharma offer Check Processing?